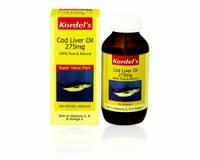 Kordel’s Cod Liver Oil contains 100% pure cod liver oil, a natural source of Vitamin A and D. Helps to maintain a healthy immune system. 6 to 11 years old: Take 2 capsules a day, after a meal. 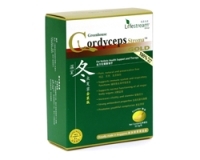 Above12 years old: Take 6 capsules a day, after a meal.